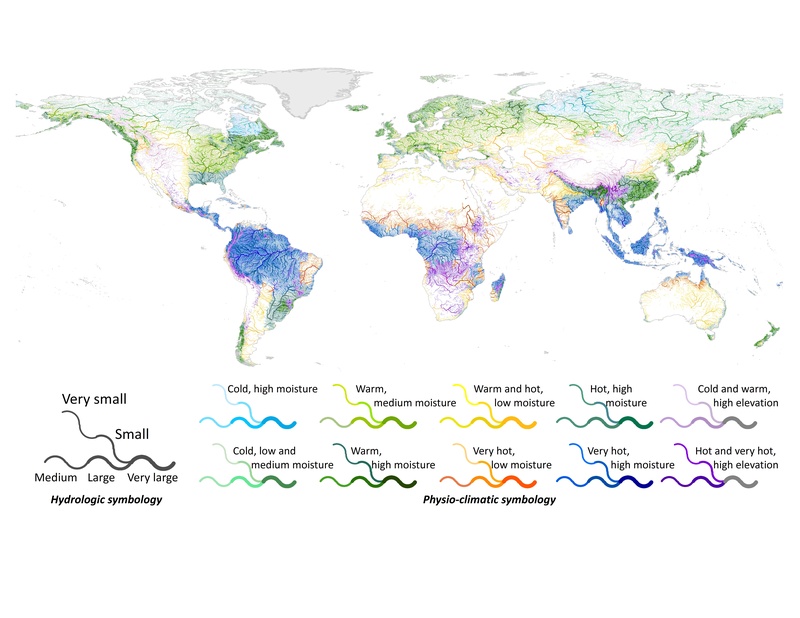 Researchers have produced the first map that catalogs and classifies all rivers in the world. In a study published in Environmental Research Letters, scientists from McGill University, the U.S. Geological Survey and the World Wildlife Fund assess more than 35 million kilometers of rivers world-wide, based on several variables. The resulting classification produces 127 types of rivers with different environmental characteristics, ranging from high mountain streams to large lowland rivers, from cold Arctic to warm tropical ones, or even those, in hot arid regions, that may be dry most of the year but flow occasionally. "Having a map like this will support a broad range of applications, such as testing which types of rivers are currently not well protected, which types are most at risk of being environmentally degraded, or how to best devise international conservation and management strategies to keep them healthy,” says lead author Camille Ouellet Dallaire, a PhD student in McGill's Department of Geography.